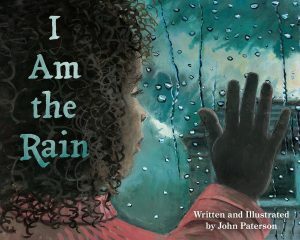 With whimsical and lyrical text and vibrant illustrations, the author explores the water cycle. Water is personified and goes through more forms than the reader may have considered. It begins, “Sometimes I’m the rain cloud and sometimes I’m the rain” as a young girl watches out a window, immediately drawing in the reader. From waterfalls to ocean waves to mountain snows, this little book investigates them all. It also points out the importance water plays for life. From comets to Mars, water is everywhere. Learning about the natural world is always a great pursuit, but this book makes it fun. And the reader might also learn a little from the poetic text. The explore more sections are extremely helpful in suggesting activities for further exploration.